(August 27 2018, - January 7, 2019). Reception: September 14, 5:30 - 7PM. (July 27, - September 19, 2017). 2015 • Mills College Art Museum, Oakland, CA. • Musiz Foundation, Sofia, Bulgaria. • "Bill Owens: Cars", Milano, Museo Arte e Scienza. 2014 • Scottsdale Museum of Contemporary Art, Scottsdale, AZ. 2012 • AreaLina, Milan, Italy. • Brandt Museum, Denmark. "FotoTriennale.DK, Odense", (October 3 - 30, 2012) 2011 • San Jose Museum of Art, San Jose, CA. 2009 • Reflex Gallery, Amsterdam, The Netherlands. • Galerie de Multiples, Paris, France. 2008 • James Cohan Gallery, New York, NY. • Photographs Do Not Bend Gallery, Dallas, TX. • Arnolfini Art Center, Bristol, England. 2007 • Robert Koch Gallery, San Francisco, CA. • Galleria Lorenzelli, Milan, Italy. 2006 • Museum of Contemporary Art, Los Angeles, CA. 2005 • Lisa Ruyter Gallery, Vienna, Austria. • James Cohan Gallery, New York, NY. • Jack Hanley Gallery, Los Angeles,CA. • Robert Koch Gallery, San Francisco,CA. 2004 • Carla Sozzani Gallery, Milan. Italy. 2003 • SpazioFoto Credito Artiano, Florence, Italy. 2002 • Photographs Do Not Bend Gallery. • Palazzo Santa Margherita, Modena per la Fotografia. 2001 • Palazzo Santa Margherita, Modena per la Fotografia. • Paul Morris Gallery, New York, NY. • Jack Hanley Gallery, San Francisco, CA. • UCR /California Museum for Photography, Riverside, Ca, Suburbia. • ArtandPhotographs, London, England, “Images From Suburbia”. • San Jose Museum of Art, San Jose, CA. 1999 • Greg Kucera Gallery, Seattle,WA. 1998 • Centre Photographique d’Ile-de-France. • Galerie Gabrielle Maubrie, Paris France. • Stephen Bulger, Toronto. 1996 • Robert Koch Gallery, San Francisco, CA. • Blum and Poe Gallery, Los Angeles,CA. 1995 • City of Brisbane, California (City Offices), Bill Owens, Photographs of Brisbane, California. • Los Angeles County Museum of Art, Bill Owens Suburban Selections (1970-71). 1994 • American Fine Arts, NY, Photographs from Suburbia, Our Kind of People and Working. 1983 • Cameravision, Suburbia The Art Museum Association San Francisco, Best of Bill Owens (traveled 1983-85) Virginia. • Intermount college, Colorodo State University, Ft Collins November 14 December 12. 1983, University of Minnesota, Minneapolis. • The White Gallery, Tel-Aviv, Israel-”Surburbia". 1982 • University of New Mexico, Bill Owens-traveling exhibition (1982-3) Cameravision, Los Angeles- Suburbia, 10th Anniversary Exhibition. • Tokyo Institute of Polytechnics, Shadai Gallery, Tokyo, Japan, “Suburbia”. • Gallery kiek inb de KoK, Tallinn, Astonia- “Surburbia”, traveling exhibition. • Buenos Aires and La Plata, Argentina-”Surburbia”. • Album Gallery in San Paulo and Buenos Aires for Suburbia. • Compendium Bookstore, Sydney, Australia - Surburbia- Basement Gallery. 1981 • Cannon Photo Gallery, Amsterdam, Munich and London. • Bill Owens Photographic Center of Athens, Athens Greece. • G Ray Hawkins Gallery, Los Angeles California Suburbia. 1980 • La Photo galeria, Madrid, Bill Owens traveling exhibition. 1979 • Oregon Gallery, Museum of Art, Eugene, Oregon. 1978 • University of Oregon Museum of Art, Portland - Feb 19 Suburbia. • Galerie Breiting, Berlin ,Germany, Bill Owens: Amerikanische Gruppen, Leben in Vorstadten Libreria & Galleria Pan, Rome Bill Owens immagini da ‘Suburbia” e ‘Our Kind of People’. • The Halstead 831 Gallery, Birmingham, Michigan: Suburbia. 1977 • Suburbia - Showa, Tokyo, Japan. • Suburbia - Open Air Gallery, Estonia. • Columbia Gallery of Photography, Columbia, Missouri: Suburbia La Photo Galeria, Madrid, Spain, Suburbia. 1976 • Dalhhousie University Art Gallery, Halifax, Nova Scotia. • Infinite Eye Studio/Gallery, Milwaukee May 22-June 27 Suburbia. 1965 • Institute of Jamaica, Jamaica , West Indies - Bill Owens Village Life. • MOCA Pacific Design Center, West Hollywood, CA. “Welcome to the Dollhouse”, (January 20, - April 8, 2018). 2017 • Howard Greenberg Gallery, New York, NY. "The Immigrants – A Group Exhibition of Works by Select Photographer", (December 14, 2017 - January 27, 2018). • Fotomuseum Winterthur, Zurich, Switzerland. “The Hobbyist”, (September 9, 2017 - February 11, 2018). • Zimmerli Art Museum, Rutgers University, New Brunswick, NJ. “Partisan Views and Public Opinion", (September 5, 2017 - January 7, 2018). • Nottingham, England. “States of America: Photography from the Civil Rights Movement to the Reagan Era", (September 16, - November 26, 2017). • Carriage Trade Gallery, 277 Grand St. NYC, American Interior, (April 27 - June 3). • Galerie de Multiples, Paris, France, “Collection 100%”. • Portland Art Museum, Portland, OR. “Recent Photography Acquisitions”, (March 11, - July 23). 2016 • Legion of Honor, Fine Arts Museums of San Francisco, San Francisco, CA. "Wild West: Plains to the Pacific". • Palo Alto Art Center, Palo Alto, CA. • “The Butterfly Effect: ART IN THE 1970’S CALIFORNIA”. • PDNB, Dallas, TX, “Odds and Ends”. • PDNB, Dallas, TX, “Critters”. • Rennie Collection, Vancouver, Canada, “Group Exhibition from the Collection”. • Hammer Museum, Los Angeles, CA. “Still Life with Fish: Photography from the Collection”. • Frac Centre-Val de Loire, Orleans, France “The City, Far Away". 2015 • Whitney Museum of American Art, New York, NY. “America is Hard to See:1925-1960”. • The J. Paul Getty Museum, Los Angeles, CA” In Focus: Play”. • Robert Koch Gallery, San Francisco, CA. “Words Matter”. • Museum of Art, Fort Lauderdale, FL “Martin Z. Margulies Collection”. • Stephen Bulger Gallery, Toronto, Canada, “20th Anniversary Exhibition”. • Herbert F. Johnson Museum, Cornell University, Ithaca, NY, “The City, Works from the Collection”. 2014 • New York Public Library, New York, NY “Public Eye: 75 Years of Sharing Photography”. • PhotoCentral Gallery, Hayward CA. 2013 • LACMA, Los Angeles, CA “Little Boxes: Photography in the Suburbs”. • Addison Gallery of America Art, Andover, MA. “Frame by Frame”. • Moderna Museet, Stockholm, Sweden. “Pop Art Design”. • China Art, Los Angeles, CA “Pet Shapes". 2012 • MOCA Geffen Contemporary, Los Angeles, CA Pacific Standard Time. • FotoTriennale.dk Brandts Museum, Odense, DK. • Palm Springs Art Museum, Palm Springs, CA, “Backyard Oasis”. 2011 • Pier 24 San Francisco, CA “Here”. • Norton Museum of Art, West Palm Beach, FL “A to A”. • MoMA, New York, NY. “Photography Rotation 8”. • China Art Objects, Los Angeles, CA, “Pet Shapes”. 2010 • Musee de l” Ilysee, Lusanne CH “Polaroid in Peril !”. • The J. Paul Getty, Los Angeles, CA “In Focus: The Worker”. 2009 • MoMA, New York, NY. “Into the Sunset: Photography’s Image of the American West”. • Fondazione Raffhianti, Lucca, Italy “Faces”. • Bibliotheque Nationale, Paris, France “Seveties, e choc de la photographie americanie”. • James Cohan Gallery, Shanghai, Haina, “Santa’s Workshop”. • Robert Koch Gallery, San Francisco, CA, “Adolescence and Other Mysteries”. 2008 • Dallas Museum of Art, Dallas, TX, “Recent Acquisions”. • Carriage Trade, New, NY, “The Cult of Personality”. • PDNB, Dallas, TX, “There’s No Place Like Home”. 2007 • Stedelijk Museum, Amsterdam, The Netherlands “Mapping the City”. • San Jose Museum of Art, San Jose, CA. “Suburban Escape: The Art of California Sprawl”. • The J. Paul Getty Museum, Los Angeles, CA. “ Public Faces/Private Spaces”. • James Cohan Gallery, New York (26th Street), Chelsea, “Mask”. • PDNB, Dallas, TX, “Naughty or Nice”. 2006 • Berkeley Art Museum, Berkeley, CA “Dreaming California”. • Howard Greenberg Gallery, New York, NY. “Right of Passage”. • Katonah Museum of Art, Katonah, NY. “The Burbs”. • James A. Mitchener Art Museum, Doylestown, PA. “Radical Vision: The Revolution in American Photography”. 2005 • Serralves Museum, Porto, Portugal “Street Credibility”. • SFMoMA, San Francisco, CA. “Taking Place: Photographs from the Prentice and Paul Sack Collection”. • PHotoEspana, Madrid, Spain “Main Street. Urban Photography in America”. 2004 • Whitney Museum of American Art. Inside Out: Portrait photographs from the permanent collection. • Los Angeles Museum of Contemporary Art at the Geffen Contemporary. • Yossi Milo Gallery, New York, NY. “Pool Party”. • Kennedy Boesky Photographs, New York, NY. “Seventies Color Photography”. 2003 • Peabody Essex Museum. “Family Ties”. • Collection Lambert-musee d’art contemporain, Avignon, France. “Photograhier to photograph”. • Wattis Institute for Contemporary Art, San Francisco, CA. “The Gray Area”. • Samsung Museum of Modern Art, Seoul, Korea “Contemporary American Photography”. • Atlanta Contempory Art Center. “Terrain Vague: Photography, Architecture and the Post-Industrial Landscape”. • Carnegie Museum of Art. 2002 • Barbara Gladstone Gallery “American Standard: (Para)Normality and American Standard (Para) Normality in Everyday Life Organized by Gregory Crewdson. • Whitney Museum of American Art “Visions from America-Photographs from the Whitney Museum of American Art”. 2001 • L.A. Galerie Lothar Albrecht, Frankfort, Germany, ‘Places and People’. • Oakland Museum of California, Capturing Light: Masterpieces of California Photography 1850-2000. • St Louis Art Museum, St. Louis, MO. 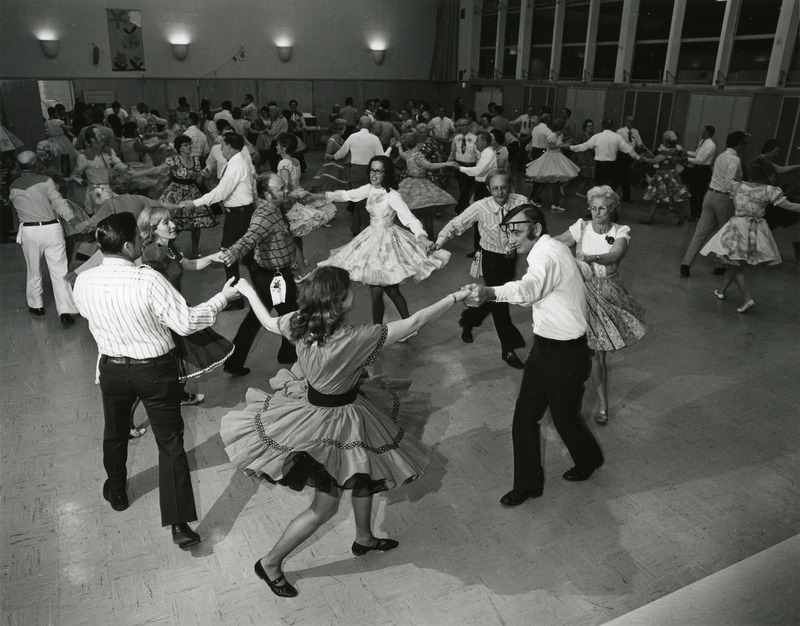 Photographs from the 1960s and 1970s from the permenent collection. • Museum of Contempory Art, Denver. “Go Fish”. 2000 • Los Angeles County Museum of Art, Made in California: Art, Image, and Identity, 1900-2000. • UCR /California Museum of Photography, Riverside, Ca “Rearview Mirror: Automobile Images and American Identities”. 1999 • Robert Koch Gallery, San Francisco, CA. “Domestic Artifacts”. • Howard Greenberg Gallery, New York Suburban Folk Tales. • Matthew Marks Gallery, New York, “Pure Products of America: Photographs 1968-1978”. 1998 • Denver Art Museum, Merge Photo Gallery, A Fine and Private Place: Mortality. • Monuments and Memory Center for Creative Photography, University of Arizona Tucson, Coming of Age. • San Jose Museum, Photographic Highlights from the Permanent Collection. 1996 • San Francisco Museum of Modern Art, San Francisco, CA, “Commonplace Mysteries”. • Florida State University Museum of Fine Arts, Tallahassee, FL. “The Gun as Image”. 1982 • International Center of Photography, New York, Photography in the 60’s and 70’s. 1980 • DeCordova Museum-Photography/recent Directions Temple University-Conference on Visual anthropology. • Los Angeles Museum of Natural History. • Colorado Photographic Arts Center Harbor College Art Gallery. 1978 • Santa Barbara Museum of Art: Attitudes - Photography in the 1970’s. • Museum of Modern Art , New York, Mirrors and Windows: American Photography Since 1960. • Moderna Museet, Stockholm, Sweden, Tusen och En Bild/The Thousand and One. 1977 • Neikrug Gallery, America Photographic Statements 12 photographers 1976 • Philadelphia Museum of Art, You Ought to Be in Pictures: American Family Portraits. 1975 • Mary Porter Sesnon Gallery UC Santa Cruz Guggenheim Fellow photographs 1973 Oakland Art Museum De Young Museum, San Francisco New Bay Area Photographers.